Our cries to the Lord — are what give us communion with the Lord. It’s the dire distress that drives us into the deep devotion. It’s when all fails, His love never fails — and this is why we are a people who can always give thanks. The following is something I wrote last fall but never posted. I love how journaling enables us to look back, see how God has been working on and in us, what has changed and what has remained. Sometimes I struggle with the feeling that I am too caught up in John’s healing, wrapped up in his struggles, and engrossed in my deep love for him… so deeply associating my purpose and happiness in my perception of how he is doing. And thus, my faith is oftentimes directly proportional to how well I think John is doing and whether or not I believe (and can see with my eyes that) he is continuing on the path toward complete healing. This is all embarrassing to admit, but at times this is the honest truth of where my heart lies and where I believe the hearts of many parents lie. I once heard it stated that at any given time, we are only as happy as our least happy child. Or perhaps you can relate with a deep desire of your heart or a lifelong goal or dream that continually seems just out of reach. I know that much of this is quite skewed, especially when we intellectually (even if not always on a heart level) know and recognize that God is the source of our identity, He gives us purpose, He provides, He is strong in our weakness, His love is enough. As the quote above asserts, “His love never fails” even when all else does. Hammering this into our hearts, really letting these truths sink in and cover every part of our beings, is another matter. The source of our struggles with God, faith, fear, and control stem from not having a proper, accurate grasp of just how much God loves us. It hit me tonight when talking with some friends, tying all these wild and wooly thoughts together. Yes, I am desperate for John’s full healing. My dire distress does keep me on my knees, driving me toward communion with the Lord. And it is my crazy, intense, suffocating at times, all-consuming LOVE for my children that, rather than taking my focus off God, can point me to the solution to my struggles. In this love, I am reminded how we can know, really and deeply experience in our hearts in addition to our minds, what God’s unfailing love means on a practical, blood, sweat and tears level. This is what hit me: If I can love my children this much and I am an inherently sinful, selfish person, how much more does God, our Father, love me? I may not be able to wrap my mind around God’s unconditional love, but I know what it means to love my children fiercely. I pray today that you and I will welcome His love… that we will simply embrace it. That for today at least, I will set aside my questions and doubts, and let Him love me as a good Father loves His children. On July 6, I hit a big milestone. 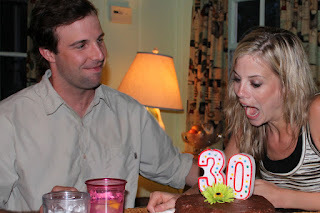 I turned THIRTY!! As many people feel on “big” birthdays (the ones where you realize you are getting older), this birthday's approaching was slightly intimidating. How am I already 30 years old? I still feel like an awkward teenager most of the time! I’ve now traded in the big, light, fun birthdays of youth: becoming a teenager at 13, obtaining my driver’s license at sweet 16, turning 18 in time to vote in the 2000 presidential election, and then the big 21st birthday two days after returning from studying abroad with two of my best friends. Now, 40 is next! Then 50, 60, etc! Yikes! *Fighting for John with countless therapies, trips, programs, specialist visits, etc. 1) Despite the pain and hardship, I am incredibly grateful for my 30 years and everything my childhood and 20’s have held. I still cannot answer all the “why” questions that burn deep within my heart, but I can continue to believe in God’s goodness and express my sincere gratitude for how He has used both the joys and tragedies to shape me. 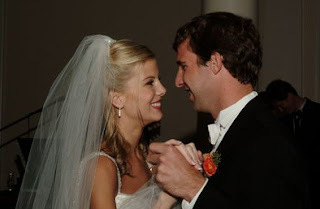 I am grateful I’ve experienced God’s grace and love through my husband. I am grateful for experiencing the love of our Heavenly Father by becoming a parent myself. And I am grateful for the pain that came along with having my children. Would I choose to forego the pain itself and my children’s suffering? Absolutely. However, the pain was and has been used to expand my heart more than I ever dreamed possible. A heart that didn’t know it could feel so much – especially love. My boys and the pain of their situation taught me this from day one. To cherish each minute we have with those we love (cliché but true). To be grateful for the precious gifts we’ve been given, especially our children, and not to take them for granted. 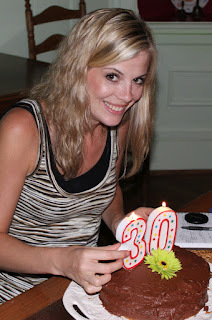 2) I am grateful to say farewell to my 20’s, and I'm 100% ready to embrace my 30’s! A decade full of promise, faith lessons, and certainly challenges and blessings. Sometimes it is simply nice to have a fresh start, a new season, and a way to mark a break with the past. Where is the Lord taking you? How has he used your past, both the joys and trials, to shape you? What can you release to the past and what can you carry with you into your next season? "I will never forget this awful time, as I grieve over my loss. The faithful love of the Lord never ends! His mercies never cease. We cannot thank you enough for all the enthusiasm and support after the last post, Excited to Crawl. 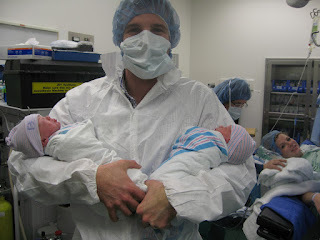 Your prayers and excitement over our family’s big and little steps mean the world to us. I realized, however, I needed to clarify one thing. John’s next developmental step is army crawling. Therefore, that is what he is currently working on. However, we are still in the early, early stages of army crawling. John has a great desire to crawl and is definitely working in that direction, however he is not army crawling as a form of transportation yet. He “scooches” some and, by even crawling an inch or two recently on the flat floor, he has made tremendous progress that we haven’t seen up until now. Daniel "helping" John crawl down the incline floor. We are excited about this goal and want John to know this, just as his advocate at the Institutes encouraged. Throwing our desired timelines and fears out the window, we want John to know how worthy of a step army crawling is… that it is worth the effort and worthy of praise and celebration. So how exactly is John learning to crawl? We’d love to share this with you! Some of you may recall from the Caringbridge days that we have three large wooden slides in our home (that Meade and dear friends helped to build), which the Institutes refers to as “Inclined Floors.” This is one of many programs they have designed to enable gravity to work for the child rather than against him. The incline can be increasingly lowered until the child is crawling on the flat floor exclusively. In concert with sensory stimulation, programs like the inclined floor give children with developmental delays the best opportunity to learn to crawl and to capitalize on the sensory, nutritional, and breathing input they have received. John is extremely determined; we know he’ll get it! We are so proud of our boys! And again, we are so grateful God is proud of each one of us as we “scooch” along in life. Here are a few videos so you can visualize John and his efforts as you pray for him! Thank you!! John must have bear hands, elbows, legs, and knees while crawling. He also wears shoes to weight his feet a bit; he likes to keep them up in the air. Email subscribers, click here and here to see these two videos on Youtube.